Edcamp is an exciting PD experience designed by teachers, for teachers. FRC tried this model out in our Dec 2013 PD, with huge success. Teachers loved the automony and the time to collaborate on topics they felt strongly about. A little background: Edcamps began in Philidelphia in May 2010. The model became so successful that the original organizers created a nonprofit organization, The Edcamp Foundation to support groups in organizing and in some cases funding Edcamp "unconferences". How is an Edcamp organized? Sessions are organized based on participants’ willingness to share an aspect of their practice they feel others would like to know about. 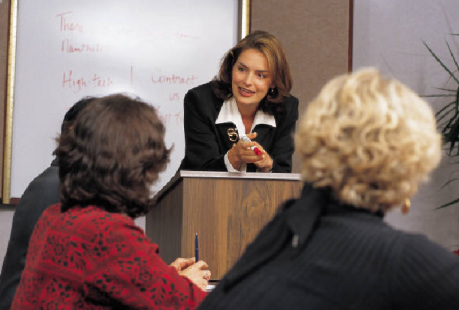 Unlike formally prearranged sessions, there is no need to plan a structured presentation. Edcamp sessions are about sharing and facilitaing a conversation. You just need to bring your experience and whatever materials you feel others might like to see. Access to computers allows you to find and share resources easily. Typically, sessions are organized through a system of participants writing on different coloured cards indicating they would like to share or learn about a topic. Then organizers group like-minded people together, combining some topics or splitting them into subgroups as necessary. Once sessions start, participants may come and go as they find the best ways to use their time, dropping in on more than one conversation if need be. at sessions they did not attend. PLAN: November 14th, 2011 - Retain Karen Hume to facilitate a professional development day for all teaching staff on engaging "millenial students" based on her recent work, Tuned Out, and introducing the cross-curricular "Survival Guides" instructional strategy. Literacy Coach trains teachers in peer-coaching techniques. PLAN: Teachers work in pairs to identify a literacy strategy, model a lesson using the strategy, and debrief following the demonstrations using "FeedForward" peer-coaching techniques. Professional Development model adapted from Literacy starts with teachers (Brozo & Fisher, 2010).